Audio Addicts was founded in 2005 by Atul Bapodra, who is an audiophile. The need to make quality sound products available to the Central and South Texas region resulted in the formation of Audio Addicts. We cater to the addiction of sound lovers, who want components that produce true to life type high fidelity acoustics, especially in the 2-channel field. Today, with advent of the surround sound concept, media rooms, cinema grade rooms in homes, green revolution, the need to control everything with one remote, and other technological advances, Audio Addicts has evolved into your one-stop shop that caters true 2-channel lovers to the multi-channel cinema lovers in your home to the “control- everything with my phone” type enthusiasts! 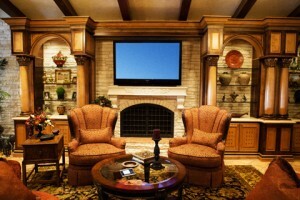 We pride ourselves in customizing and providing home theatre / home automation solutions to suit today’s lifestyles. The product lines that we offer have been meticulously selected. We are focused to service niche customers that need home automation systems retrofitted to their existing homes and for customers who are building their dream home! The possibilities are limitless! The challenge lies in your imagination! We will sit down with you and your family to discuss what YOU want for YOUR home and propose an optimal system! Let us be a part of your life! "Audio Addicts is very professional in their approach and they deliver what they propose in a timely manner. They spent a lot of time in making sure that all... "